Who Are The Archangels And How Can They Help You? Archangels are the great spiritual beings whose level of vibration is at the very pinnacle of humanity. In fact, the Archangels illuminate some specific qualities and attributes of the ultimate creator. Archangels are believed to serve the human beings based on the divine mission that they undertake. Due to their mission to uplift the human soul which is closer to the creator, their presence in this world has been noted at numerous places and in numerous religions. But the Archangels are not bound by a particular religion or by an area; their existence cannot be limited by space and time. Their worldview, or rather the view of the reality, is one continuous stream of thought not limited by the barriers of time. 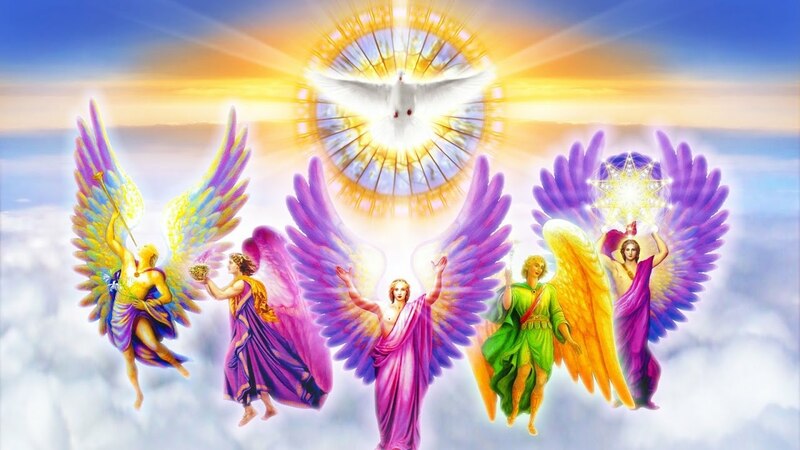 Archangels are the projectors of divine light and they are always available to help the humans. They are always ready to spread love, healing, and guidance to everyone but will never do that without their permission. You can also connect to the high energy of the archangels but for that, you must increase your own energy first as it will ensure a meaningful connection. What Is The Number Of Archangels In The Universe? There is no consensus on the topic of a number of Archangels. Some people claim that the number is only 7 or 12, but over the years I have met many of them and they have revealed that there thousands of them in the universe. The difference of opinion emerges because many of the Archangels work behind the ‘closed curtains’ and thus their presence is not felt by us. We are mostly are about those Archangels who are referred on the religious texts or those with whom we regularly meet with. Archangel Gabriel is the angel of communication, strength and new beginnings. Humans call Gabriel usually to inspire them for finding their higher selves. Metatron is the divine record manager and the link between Earth and the Heaven. Metatron helps you to let go of your painful past. Michael is the angel of protection and helps people to overcome their deep-rooted fears. Michael is considered as the easiest Archangel to call. Raphael is the angel of healing and can help you to learn the powerful ways to unlock the secrets of self-healing. Also known as the Lioness of God, Archangel Ariel is known as the propagator of happiness, abundance and natural living. Haniel is the angel of healing, vitality, and passion. Archangel Haniel can help you to cleanse your lower vibrations and to live your life with awakened energy. Haneil is also known for helping people to bring back love in their life. Archangel Orion is a very powerful guide hailing from the Celestial Realms who offers immense help in energy cleaning and protection. Jophiel helps you to see your inner beauty and thus helps you to ignore the negative energies of the world. Muriel is an Archangel of peace, harmony, and love. Muriel can help you if you are struggling with your emotions. The literal meaning of her name is ‘The Light Of God’ and she is known as the angel of illumination and light. Uriel provides light to all the humans who want to achieve higher consciousness. You can call the Archangels with a simple call like, ‘Archangel Gabriel stands in front of me’ and can ask them to help you at any moment.